Reiki is a Japanese word meaning ‘Universal or Spiritual Energy’ – Rei (Spiritual) and Ki (Energy). It is pronounced ‘Ray Key’. Mikao Usui developed the system of Reiki in Japan in the early 20th Century. Its gentle, non-invasive hands-on healing is suitable for everyone – young and old alike. 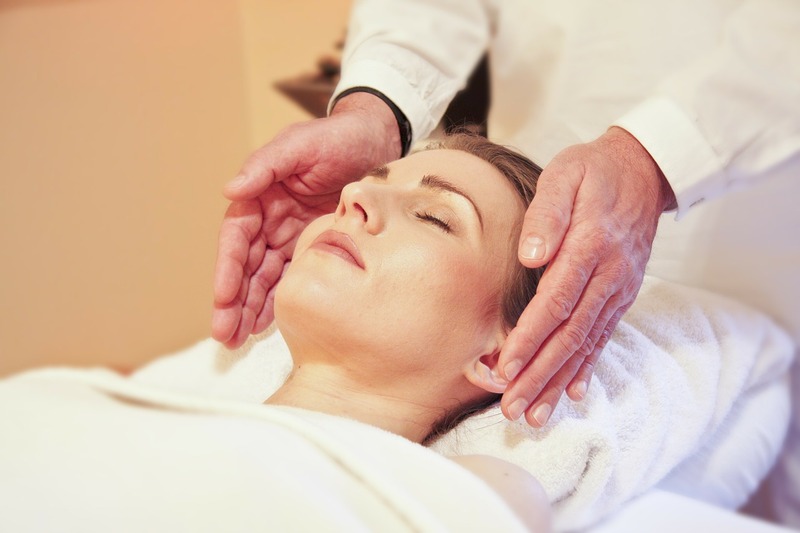 Clients experience a Reiki session fully clothed, either laid on a massage couch or sat comfortably in a chair. It is non-intrusive and involves only gentle touch (or can be done with hands just above the body). Clients usually finds the whole experience deeply relaxing and may even drift off to sleep (many people do). The energy may be felt as a warm feeling or in contrast, some people feel it as a cold flow. Some clients feel tingling sensations and others feel a strong flow of energy. As we are all different, we all experience Reiki in different ways. Each person will only draw in the energy that they require. Reiki is useful as a general maintenance to keep your energy levels up and to keep stress away. It is excellent pre/post operation and post injury or illness to aid recovery. Mikao Usui encouraged us to repeat the precepts twice a day, to invite happiness and blessings into our lives. The precepts encourage us to be mindful in different ways. Although even one session can make a difference, a series of sessions are usually recommended for the best results. The number depends on the clients requirements and this will be discussed at the end of your first session. Many clients choose to have regular sessions (e.g. once a month) for on-going health maintenance. This helps ensure you regularly take some time out and look after yourself. In today’s stressful world, many of us need some extra help to stay balanced and Reiki is an ideal way to achieve this. If you would like to experience a lovely, relaxing session where you can let go of all your troubles, then I would love to help you feel better – do get in touch.